Sales for Friday 5th July's Friends Life t20 East Midlands derby between Derbyshire Falcons and Nottinghamshire Outlaws have already topped 4,000. As of this afternoon (Wednesday 3rd July), less than 1,000 tickets were still available for the match (7pm start) due to the County Ground's 4,999 capacity - and supporters are advised to purchase in advance to guarantee entry. There has been unprecedented demand following Derbyshire's recent victory over Lancashire Lightning, as the Falcons secured their third straight win and moved to the top of the north division table. Derbyshire, featuring the star overseas duo of Shivnarine Chanderpaul (West Indies) and Albie Morkel (South Africa), will go head-to-head with neighbours Nottinghamshire, who are likely to include international stars Michael Lumb, Alex Hales and David Hussey for the top of the table clash. The Outlaws attracted a crowd of over 7,000 to their Friends Life t20 opener versus Lancashire and will bring a strong travelling contingent down the A52. 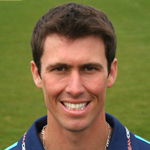 Derbyshire Captain Wayne Madsen (left) said: "It is going to be a fantastic crowd. We are really looking forward to it and hope to put on another good performance. If we can win, we will be really flying and will put ourselves in a brilliant position to claim a quarter-final spot." Chief Executive Simon Storey added: "The team has made an excellent start to the tournament and demand for tickets is extremely high. "With the weather forecast looking so good, there is a high possibility that the match will sell out so we are advising supporters to purchase prior to Friday to ensure entry. "Our advice, meanwhile, to Members and Six Pack Ticket holders is to arrive early on the night in order to avoid congestion and to be sure of a place in the ground for what promises to be a cracking night's entertainment." Supporters who buy tickets in advance will benefit from discounted prices of £12 adults, £4 juniors and £4 car parking; available online at derbyshireccc.com or by calling 01332 388 101. A further £2 discount is available per adult ticket for a group containing four or more adults and - new for 2013 - the Six Pack Ticket allows entry to six matches for just £55. Junior Membership is priced at £10 - therefore; a parent and child can attend six matches this season for a total of just £65. A family ticket for 2 adults and 2 juniors is available for £28. If tickets remain available on the day of the game, they will be priced at £16 adults, £5 juniors and £5 car parking. All those attending the fixture are advised to arrive at the ground as early as possible to avoid congestion. Gates will be open at the County Ground from 5pm. Look out for the new one way system which will aid efficient flow of traffic into the ground with ground access via Pentagon Roundabout only. Car Parking, which is available on a first come first served basis, will be paid separately to match tickets upon entry to the ground. Off site pay and display car parking is available, priced at £3, in the Cattle Market Car Park on Chequers Road, situated off Pentagon Roundabout (first exit if entering from Brian Clough Way).